In the Supreme Court of BC case between the Cambie Clinic (et al) and the Medical Services Commission of BC (et al), the Counsel for the Coalition Intervenors presented their Opening Statement in court this past Wednesday. The following excerpts are taken from the official transcript of the Statement. “At the end of the day, it is our submission that there is no constitutional right to a health care system where physicians can claim entitlement to compensation from the public system while also participating in a private system in which they are incentivized to provide preferential access to care to those who can afford to pay more for it, nor do the principles of fundamental justice require such a health care system. There is no constitutional right to a health care system in which the Legislature is prevented from enacting safeguards to protect its fundamental objective of ensuring that individuals receive access to care without fear of having to pay for that care, or that prevents the enactment of social policy that declines preferential access to those who can afford to pay extra for their care over those who might need the care more, nor do the principles of fundamental justice prevent the Legislature from enacting such safeguards. And there is no constitutional right to compel the government to subsidize a private health care system, nor do the principles of fundamental justice require it. 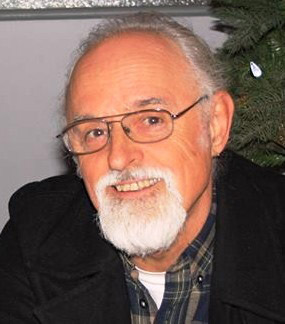 Not only would dual practice, extra-billing and duplicative private health insurance be inconsistent with the objectives of the legislation establishing the public health care system, but allowing such practices would also cause harm to the majority of patients served by the public health care system and to their s. 7 [section 7 of the Canadian Charter of Rights and Freedoms] rights and interests. On September 6, the B.C. Supreme Court will begin to hear a case that could fundamentally change the nature of health care in Canada. Dr. Brian Day, owner of Cambie Surgeries Corporation, is leading the lawsuit. The case challenges the core values that underpin Canadian public health care: That our access to care should based on need, not on our ability to pay. It is difficult to overstate the threat this litigation poses to our health, equity, and economy. Put simply, if Day wins, many people in Canada won’t be able to afford health care and we will have to wait longer for treatment. Day argues that the laws banning extra-billing and duplicate health insurance are unconstitutional. If those rules were struck down, what would that mean for you and me? It would mean doctors could charge patients unlimited amounts for all procedures and services – from routine check-ups to hip surgeries. It would also create an American-style system with parallel private care and insurance (putting private insurance companies in the position to deny patients health care coverage for basic services like visits to the emergency room or cancer treatment). Wait lists in the public system would grow as doctors, nurses and other personnel are siphoned out of the public system into a growing and lucrative private tier. The result? A deepening divide between those who can afford to pay for health care and those who cannot. That is what is at stake in this case, but how did we get here? For years Day’s clinics have been breaking the rules he’s now trying to change. He launched the lawsuit after he learned his clinics were going to be audited by the B.C. Government. The audit was triggered by dozens of patients who complained that they’d been illegally overbilled at Cambie’s clinics. An audit later revealed that Cambie had overcharged patients by almost half a million dollars in just 30 days. The audit also found $66,000 in overlapping claims — evidence that the clinics were double-dipping. A second audit report is pending. Instead of paying back the money his clinics illegally overbilled, Brian Day marshalled a group of private, for-profit clinics to file a lawsuit against B.C.’s health care laws and attempted to have the audit temporarily or permanently quashed. This case is being called one of the most significant constitutional challenges in Canadian history. 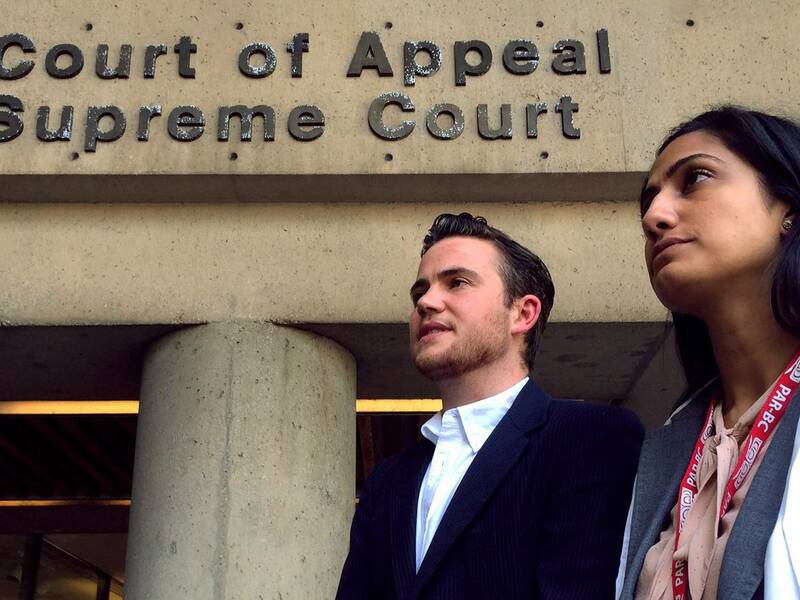 It’s likely to go as far as the Supreme Court of Canada, but what happens in B.C. will be crucial. That’s why health care advocates and B.C. patients are participating directly at trial in B.C. Supreme Court this fall. The B.C. Health Coalition, along with two patients, two doctors, and Canadian Doctors for Medicare have intervener status in the case. We represent the vast majority of people in Canada who believe our ability to get health care should be based on need, not ability to pay. As interveners, we’ll be presenting expert evidence about the impacts of two-tier care on timely access to quality care. But advocacy for real system innovation outside of the case is equally important. There’s no question that Day’s vision for Canadian health care would make waits longer for most, so what are the real solutions? B.C.’s wait times for some surgeries are among the longest in the country. In recent years, they’ve gotten longer. There are proven public system solutions that would dramatically shorten wait lists for everyone, but it takes political will. For example, the Richmond Hip and Knee Reconstruction Project reduced wait times from 20 months to 5 months by improving the scheduling of surgeries and recovery beds. Successful pilot projects like this should be taken province wide. Providing adequate in-community health support to people who need it would be another way to shorten wait lists. Bed shortages are a major cause of waits in hospitals. In many cases, acute care beds are used as a “space of last resort” by people, often elders, who could receive more appropriate care elsewhere. Frail seniors who may need some support remain in hospital, at risk of secondary infection, because there is no where else for them to go. Providing improved, non-hospital care would make a huge difference to surgical wait times and to the quality of life for seniors across the country. The Cambie case will be a reckoning for Canada’s soul. Do we want to be country that provides for people when they most need it — and is willing to do the work to make sure our system evolves to meet those needs? Or do we want to put corporate profit ahead of people in pain? The following interview appeared in the September 1 issue of ricochet online news. 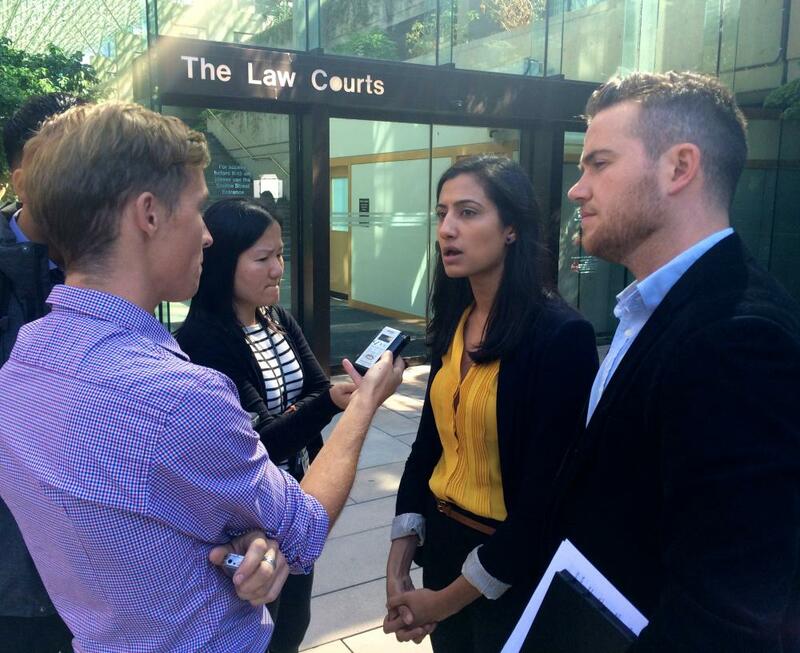 Adam Lynes-Ford, BC Health Coalition, and Dr. Rupinder Brar, Canadian Doctors for Medicare. Briefly, can you outline the implications of the court case for health care? Fundamentally the potential implications of the lawsuit are that many people in Canada won’t be able to afford health care and many people will end up waiting longer for treatment. This lawsuit strikes at the bedrock of Canadian public health care, which is the agreement that we will all be able to access care when we need it, based on our need and not our ability to pay for it. Let’s start getting into the case. Who is Dr. Brian Day? He is the co-owner of the Cambie Surgery Centre. That is a private for-profit clinic in Vancouver. He has been a vocal proponent of for-profit care for quite a long time. His clinics were the subject of a bunch of complaints by patients who were trying to access care there. As a result of their complaints, he got notice that his clinics were going to be audited. Instead of opening his doors and allowing the audit to take place and then reimbursing patients that he may have illegally billed, he joined with a bunch of other for-profit clinics and launched this constitutional challenge. We see from systems across the world the terrible health outcomes and financial outcomes when people are turned away for medically necessary care because they can’t afford it. Dr. Day fought the audit for years in court before the Province finally got entry into his clinics and were able to do a limited audit, only over a period of 30 days. But what they found was nearly half a million dollars in illegal billing. In some cases, the physicians in the clinic were charging up to seven times the legal amount. There’s a second audit underway looking at specific physicians working in Dr. Day’s clinic, because what was also found was evidence of double billing, which is essentially double dipping. Let’s say you’re a doctor and I come to you for a procedure, and you bill me the MSP amount and then you turn around and also bill MSP the same amount. (MSP is B.C.’s Medical Services Plan, which covers medically necessary services in the province.) You essentially charge twice for the same thing. In that first audit they found evidence that was happening, so they’re doing a more thorough audit to find the extent of that practice. The case gives insight into the kind of practice that Dr. Day runs and would like to expand in Canada, and it also gives us a sense of the really problematic things that can go on in private health care facilities when profit is the motive. What is Dr. Day’s argument? His plaintiff’s argument is that certain sections of BC’s health care legislation are not constitutional. There are a couple of specific rules that they are challenging as unconstitutional. The first rule is against extra billing. That means that right now doctors are not allowed to charge above and beyond a certain amount for medically necessary care. That’s how we make sure that care is based on need and not ability to pay. That’s a tenet that is implemented across the whole country. The second rule they’re challenging is that right now private insurance companies are not able to sell insurance for medically necessary services. In B.C. we have a whole bundle of necessary services that are covered by MSP and everybody has access to them. There’s a ban that says private insurance companies can’t sell and deny those services. The reason we say the case has implications across the country is that those rules are based on the Canada Health Act, a federal act, and every piece of health care law across the country has those same rules. If they were found to be unconstitutional here in B.C., it would be a domino effect across Canada. The BC Health Coalition is an intervenor in the case. What is your organization’s stance? We’re in an intervenor group with Canadian Doctors for Medicare, two doctors, and two patients. The doctors in the group want to be able to provide care to their patients based on need and not be in a position to have to turn away people who don’t have the right kind of private coverage or can’t pay. The two patients in the group have complex health conditions, rely on an accessible public health care system, and are really concerned about what a privatized U.S.-style health system would mean for them. Our stance is that we must maintain access to health care based on our needs and not our ability to pay. We see from systems across the world the terrible health outcomes and financial outcomes when people are turned away for medically necessary care because they can’t afford it.